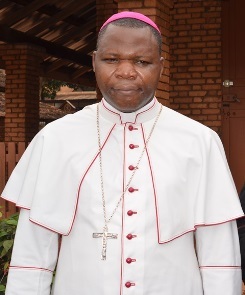 Two Catholic clerics in the Central African Republic were bound and robbed by armed men on Friday, Sept. 27. Italian missionary Fr. Beniamino Gusmeroli, and Fr. Martial Mengue, a Central African deacon, were attacked by men believed to be Sudanese. Their rooms were ransacked and valuable items stolen. The incident took place in the mission of Our Lady of Fatima Bouar, in the northwest of the country. Gusmeroli, an Italian missionary from Valtellina, released a statement to World Watch Monitor describing their three-hour ordeal. According to the statement, it began about 10 p.m., when a group of men in military uniforms and carrying Kalashnikov rifles forced the mission’s night guard – whose hands were tied behind his back – to show them to the bedroom of Fr. Mengue, where they took everything they could: money, computers and other valuable items such as his passport. Fr. Gusmeroli was also robbed and had his bedroom ransacked. This kind of attack, targeting church clerics, is the second in recent days. CAN News reported that Fr. 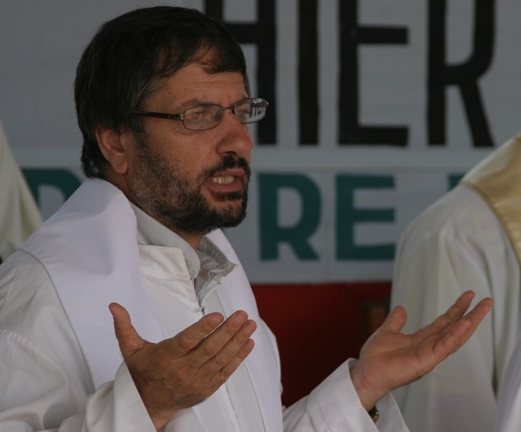 Aurelio Gazzera, an Italian priest who works in Bozoum, was beaten by members of Séléka, when visiting a rebel base on Sept. 16 to ask for the release of captives. Séléka rebels took power in March, and have waged numerous acts of violence against civilians across the country, frequently though not exclusively targeting Christians and their churches, businesses and homes. Bossangoa, 250 kilometres north of the capital Bangui, was the theatre of violent clashes between Séléka rebels and vigilante groups formed by civilians exasperated by their attacks. Officially, 100 people have been killed and more than 30,000 others have sought refuge in the diocese of the city. In an address during mass on Sept. 29, the Archbishop of Bangui, Mgr. Dieudonne Nzapalainga, warned that interfaith confrontation would be suicidal for the country. Nzapalainga said many Muslims had also suffered at the hands of Séléka. On Sept. 13, Central African Republic President Djotodia announced the dissolution of Séléka, which had brought him to power in March. The situation in the Central African Republic was on the agenda of the UN General Assembly, attended by CAR Prime Minister Nicolas Tchangai and several members of civil society, including Rev. Nicolas Nguérékoyamé, the President of the Alliance Evangelical in Central African Republic. In Bangui, the capital, joint patrols organised by regional troops and Central African Republic security forces have helped to bring relative security in the city, say residents contacted by World Watch Monitor.